The Blue Heelers DVD Box Set is the complete collection of this classic Aussie TV show. A huge 134 disc box set. Blue Heelers is about country cops living and working in a close-knit rural community. A young team of police, each experiencing an impact of events. We watch their successes and their failures and learn to grow with them and their loved ones as the heart of the series develops. Take the journey with one of the most beloved series and characters from Australian TV; Constable Maggie Doyle proves to be not just a pretty face... she is as tough as they come! In this Complete Collection special edition DVD Box instalment, you get to relive every exciting episode from this landmark Australian drama including the very first pilot episode. 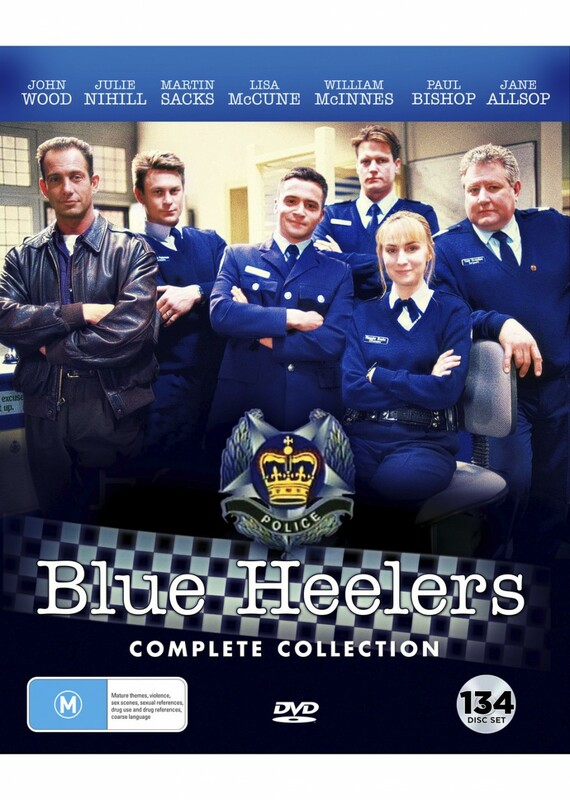 Click the button below to add the Blue Heelers - Complete Collection to your wish list.